Homeschooling girls are a little different than teaching boys. I have two boys and two girls. Girls look at the world differently. Let's look at different subjects to see how to encourage them to learn.. Studying comes easy for girls. Conflicts between different countries are usually taught in history textbooks. This was okay for my boys. They liked learning about wars and would read history books without being asked. When I am homeschooling girls, I have to find ways to make history interesting for them. My girls liked to read about people, cook, and do handicrafts. So we read biographies about famous women in history. We also used historical novels like the Little House on the Prairie by Laura Ingalls Wilder. I used The Little House Cookbook: Frontier Foods from Laura Ingalls Wilder's Classic Stories by Barbara M. Walker to learn about the food of the time period. We make a lot of the recipes from the cookbook. There are other cookbooks for other time periods. Another way that we made history alive was with American Dolls. When my oldest daughter was young American Dolls had just come out. We bought her one of the dolls and the books to go along with it. She also had a craft book. Besides reading books, cooking, and playing with dolls my girls learn handicrafts. When we read about characters in different history books knitting and quilting we tried our hand at it. My girls struggled with math more so than my boys. They liked to do practical math. We used measurements in sewing projects. My girls learned about fractions by cooking. My girls enjoyed science. I think that they enjoyed science because we did not dissect frogs or study bugs. One of my daughters did not like reading from a biology text. All of my children liked observing plants, birds, and animals. They liked looking at the stars. They also enjoyed doing science experiments. We watched seeds sprout, yeast grow, and learned about the properties of water. We also did experiments involving cooking. When I was homeschooling girls I realized that they like different kinds of stories. Girls usually like stories about how people get along with one another. Boys like more action and adventure. Also my girls liked to do more writing. Their writing assignments usually were longer and more detailed. They also liked to write short stories. Girls tend to sit still and listen longer than boys. When I was learning about children with special needs I learned that boys are diagnosed with ADHD more than girls. Girls are usually more compliant than boys. They will do their work independently when asked. They will also ask questions when they have a problem doing the work. Girls can and do have learning disabilities and other special needs. They sometimes go undiagnosed. 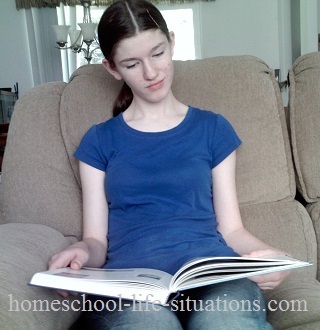 When we are homeschooling girls or any child we can provide individual learning.